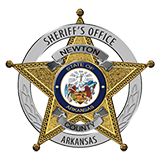 On November 30th, 2014 at approximately 2:30 P.M., the Newton County Sheriff’s Office received a call reporting that a hiker had fallen from a bluff at Hemmed-In Hollow in the Buffalo National River. Rescue and medical personnel were dispatched to the area and began searching for the victim, Camron McLaughlin, aged 21 of Ozark, Missouri. A friend had been hiking with McLaughlin when the pair started climbing on some bluffs just east of the main Hemmed-In Hollow waterfall. After climbing for a ways, the friend turned back, but McLaughlin continued on. The friend lost sight of McLaughlin, but soon heard him fall and scream for help. Since the friend did not see the fall, rescuers had difficulty finding him. At approximately 7:45 P.M., a Ranger with the National Park Service located McLaughlin on a small ledge several feet below the top of the cliff. Even after McLaughlin was located, it took until 8:35 P.M. for rescuers to reach him. Rescuers learned that McLaughlin had fallen approximately 25 feet before landing on the ledge, preventing him from falling nearly 200 more feet. The Ranger reported that McLaughlin was complaining of back, hip and leg pain. An arduous rescue was initiated, with over 60 rescue personnel from the Newton County Sheriff’s Office, Newton County Search and Rescue, Tri-County Search and Rescue, the National Park Service, Mennonite Disaster Services, Carroll County SORT, North Arkansas Regional Medical Center’s E.M.S Service, Harrison Fire Department, the Boone County Sheriff’s Office, and several area Volunteer Fire Departments taking part. McLaughlin was treated for his injuries and placed in a special rescue basket. A highly-technical High-Angle rescue was performed and McLaughlin and an attendant were lowered nearly 200 feet back down the bluff. Rescue crews then hand carried McLaughlin nearly three miles back up the mountain to the trailhead. He arrived at a waiting ambulance at 2:59 A.M., over twelve hours after the original call and over thirteen hours after the fall had occurred. McLaughlin was transported to North Arkansas Regional Medical Center in Harrison, Arkansas and was later transferred to Mercy Hospital in Springfield, Missouri. McLaughlin suffered a broken back and other, less serious injuries in the fall.